Beckett pulled at my jean shorts as I tried to quickly brush through Audrey’s tangled hair to pull it into a fast ponytail–mumma up he whimpered in exasperation. A teething boy has little patience for a hurried momma who isn’t able to carry him around. Audrey winced as I worked on her hair. When I was done, I moved her out of my way in order to get to taming Charlotte’s bedhead more quickly. 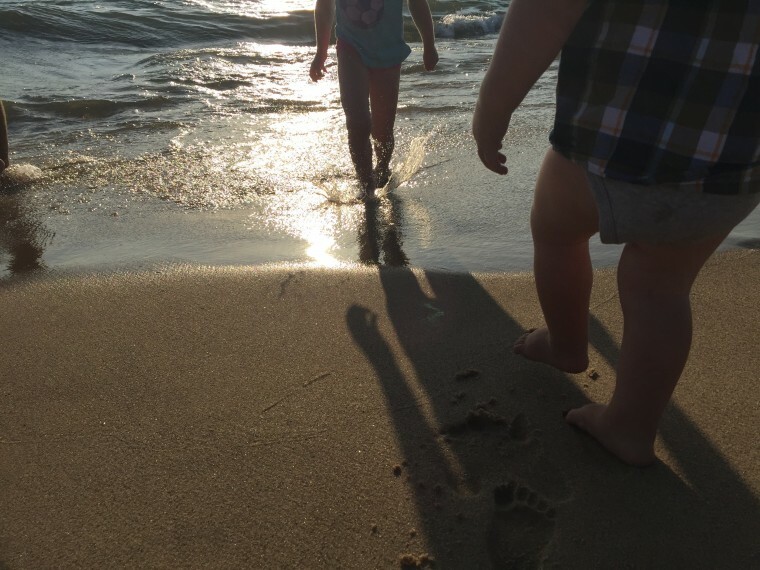 We were working to get out the door to pick blueberries together–something I love doing with my kids–and, I had a certain time in my mind that I was hoping to leave. I brushed aside my people and their feelings several times in an effort to stay on my schedule. 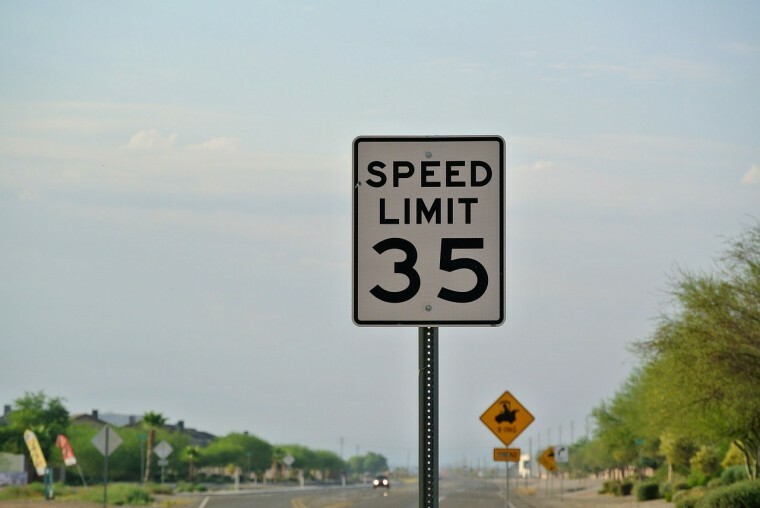 Did you know, when speeding 10 miles over the limit while taking a 15 mile trip in a 45 mph speed limit area, one saves about 3.64 minutes overall? If you’re going 65 mph, you save 2.5 minutes–considering the risks both in safety & possible tickets/fines, it really isn’t worth it to drive 65 mph on your way to that meeting for which you were hoping to arrive earlier. I looked in my rearview mirror as we drove to the blueberry farm and neither of my girls were smiling–they both sat with their heads slumped to the side a bit, Charlotte looked defeated even. And I knew, speeding those 10 extra mph through our morning wasn’t worth it. We got out the door by 8:45 a.m., but I we could’ve left by 9 with Beckett satisfied by a few more minutes on my shoulder, and Audrey feeling like a treasured person not a thing that was in my way, and Charlotte would have been sitting in the back singing along to the music rather than looking defeated because I didn’t have time in the last 30 minutes to hear her. The 2.5 minutes you might save speeding through your time with your people isn’t worth it–and the consequences will build up over time worse than speeding tickets. Mommas, let us look to our Savior’s behavior and slow down to our people’s speed limit. 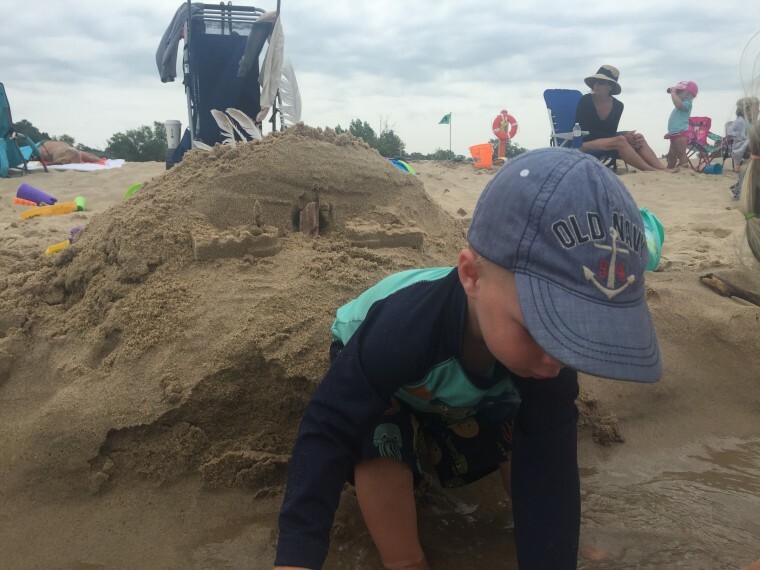 Kneeling in the sand, side by side, Mark and I used toy pails to pile up sand into a barrier made to guard the castle our family had built—it was a birthday castle for our little man who was celebrating turning two at the beach. The water didn’t lap quietly behind Mark and I, but waves broke near our knees and often crashed past us destroying the barrier and eroding our castle. As we laughed, Mark commented that our best efforts were proving to be unsuccessful. About a foot in front of us stood the castle—a large pile of sand with one or two castle formations added using our fancy buckets from Grandpa & Nana, and of course some sticks, feathers, and rocks for decoration. As I looked at it, I nearly said, I’m really not sure this castle is worth protecting anyway, but I caught myself as I knew the girls had worked on it with us. And then, as the words rolled around in my mouth and mind, I realized, it was worth protecting. Not because it would win any sand sculpture contest; it really wasn’t even picture worthy, but it was worth protecting because we had created it together. I won’t be instagraming a picture of our amazing castle with my three kids smiling behind it (partially because just getting them all to stand still on a beach is mission impossible), but with our five sets of hands, we built that castle. It took us about fifteen minutes total—but, as gazed at the castle, waves crashing against my back, I knew these minutes were precious ones and our collaboration towards a shared goal makes the process itself something to be treasured even if the product is nothing to write home about. Mommas, let us preoccupy ourselves with the process of being a family and worry less about what the product looks like to bystanders. Let us make messy memories with our hearts purposed towards loving Jesus and loving like Jesus the people He has placed in our care and our homes. Let us savor our crooked, feather-decorated sand castles knowing that the next one we attempt together will likely look a little better and our process may be a bit smoother, but it’s all worth protecting. My children won’t need a mother in Heaven. Our human personalities will be perfected & our needs will be entirely met in Heaven. However, for eternity, my children–after having accepted Jesus as their personal Lord & Savior–will be part of the body of Christ with me. The way we relate to each other for eternity will be that of co-heirs of Jesus, sons & daughters of the King. Typically, I take days or even weeks to digest & consider something new God reveals to me before sharing it with you. However, I was so astounded by this revelation in my Bible study time yesterday morning, that I couldn’t let another sunrise or cup of coffee go by without sharing–I am also deeply interested in hearing your thoughts. God began to show me yesterday morning that although, on earth, I have been charged to be mother of my children–on earth and for eternity I will be a member of the body of Christ with them. Further, if I believe what Paul is saying is the inspired Word of God, I cannot deny that each of my children has a special function in the body. Paul makes no mention of age when he writes of the many members with different functions who make up the entire body. It is safe then, to assume that every person who calls Jesus, Lord is part of the body, and therefore, has a special function in conjunction with the gifts & graces given by God. Mommas, this is a game-changer for me–my believing children, are coheirs and coworkers with me as I work to advance the Kingdom of God. If this can get into my spirit, I believe it will dramatically impact the way I talk with my children; it will influence whether we skip our Bible story or prayer time at bedtime; it may even dictate which activities they’re involved in if I see them as gifted members of a body designed by God to glorify Him. It is my prayer today that the truth of this would sink deep into our hearts. Our children, though sometimes obnoxious and nearly always needy, are coheirs in the kingdom and God has designed them to help us advance His kingdom. So, let us grab those little hands and run the race!